Have you, or a client, been wrongly suspected of a criminal offence, or even erroneously convicted of one and are planning to lodge an appeal against the sentence? I may be able to help you. I can re-examine the evidence, re-interview witnesses or perhaps uncover new ones. I will look for flaws and erroneous conclusions from the original investigation which may help to build, or strengthen, your defence case. · Locating and dealing with information providers. I can testify in court on you or your client's behalf, detailing my findings and questioning the evidence, possibly introducing supporting evidence along the way which may weaken the case for the prosecution or strengthen your case. I am academically qualified to MSc. (Master of Science) level in Criminal Investigation and am therefore an educated and credible expert witness whose opinion could be persuasive to a jury, judge or magistrate. I could draw up a profile of the defendant and the event, as well as a psychological profile (of which I am proficient and experienced) of the type of person who would have most likely to have committed the offence. If the two are incompatible, I will say so publicly, under oath. This could raise doubts about you or your client's guilt to a magistrate or jury. If you have been unfortunate enough to be scammed or ripped off, I can help you get justice. 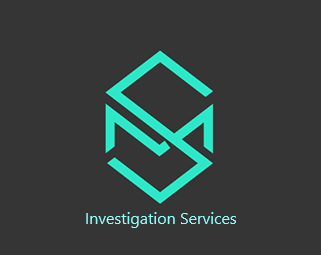 · I can locate a person or company and can provide you with further evidence (e.g., video, audio, photographic) which could support or substantiate your case. If your dispute is to do with unsatisfactory work carried out by a person, company or organisation, I can substantiate your claim by finding, interviewing, as well as taking statements and photographs (or other evidence) from other people who have also also been duped or scammed. I can help you draft a Letter Of Action (a letter written to the debtor before taking them to court) against the person or trader who owes you money and I can advise you on how to make a claim and for how much. Supporting evidence is crucial to substantiating a case. Contract Law is a complex area of law, but it’s also very simple...if an agreement is signed, both parties need to stick to it. · If you make contract with somebody and they’ve broken that contract, not finished the work they promised to do, done shoddy work, or reneged on their part of the agreement in any way, then they have broken that contract - and you are well within your legal and moral rights to make a claim. It is important to not only have a written agreement, but also to check out that the person who’s signing the agreement is the person who they say they are. I can check their identity for you. It could be vitally important as this person could simply disappear and you may have difficulty in finding them.